It’s been Four Months and a Day since our beloved Channthy was killed. These last few weeks have been a time of much reflection with the lead up to Channthy’s 100 Days Ceremony – the passing of her spirit from this world into the next – and much emotional outpouring from all of us involved in marking this occasion by being together in remembrance of Channthy’s life and to contemplate the road forward. 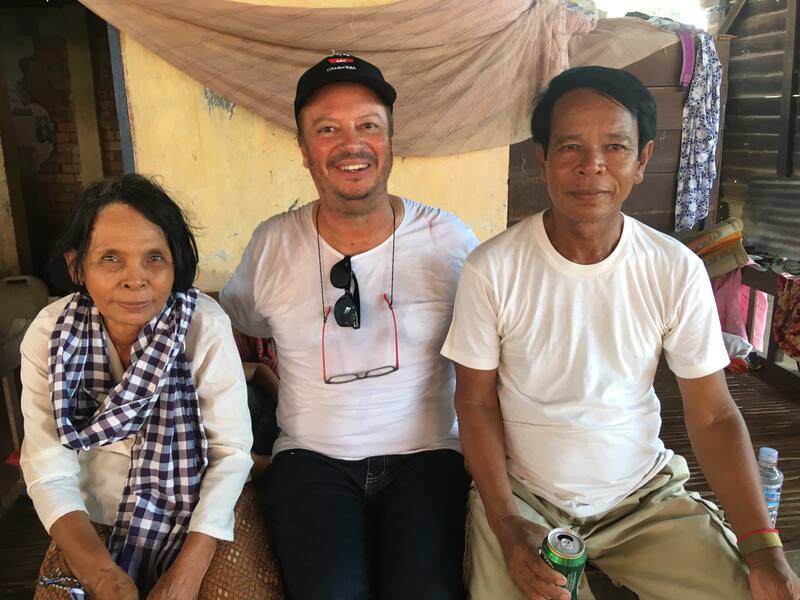 Pictured with Channthy’s aunt and uncle, village elders who have survived Khmer Rouge years and have outlived Channthy and both her parents. The elders of Channthy’s community worked quickly and effectively to give her the best funeral possible and befitting of her live and contribution to so many in her home community. Where to next? is a question that has been on my mind and no doubt it’s a conundrum facing many of us who have been dealing with the enormity of losing Kak Channthy – not least her young family and loved ones. I’ve been comforted by the fact that through this time I’ve been surrounded by friends and have also been involved in work towards maintaining Channthy’s legacy through our own continued work – rock’n’roll – with The CSP Mothership- a group involving Channthy’s family and her Cambodian Space Project family – a global family – that will carry on and celebrate her life and music. The way the Mothership has come together these last few weeks, and even a live tribute to Channthy on July 5th at Duplex, has been an a very happy and positive experience. I believe that we’ve already laid the foundations to continue Channthy’s legacy as only we know how – keeping it real, keeping it rocking! But this is only one aspect of figuring out the way forward, I’m also very committed to navigating all the issues for continued support for Channthy’s son and in understanding the road ahead and how this will be managed. Shortly after I received the heartbreaking news, I began to get calls from friends offering support. Some people called to discuss fundraising for Channthy’s son and other ideas about what could or should happen next. 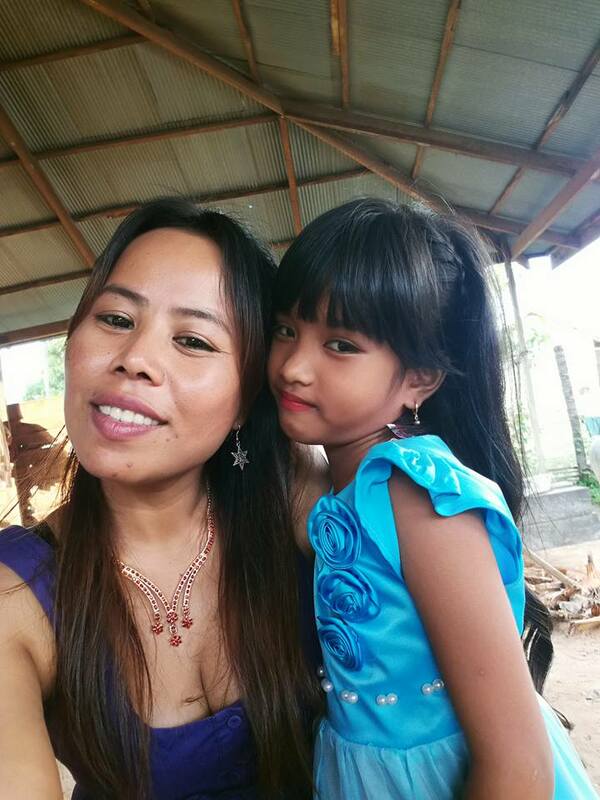 The calls came at a time when I was already, by Channthy’s grave back in her homeland Prey Veng and at a time when grief was so overwhelming, for all involved, making it hard to think about the next day let alone the future. But thankfully, friends were quickly onboard and I made a decision to ask Harley Stumm to set-up and activate a Gofundme campaign. Harley took care of this task and this allowed me and others to deal with more immediate matters. Over the years Channthy often thought she might die young and in case this happened – asked me to promise to take care of Makara. Of course, I made that promise and while Channthy’s and my own relationship had its ups and downs – marriage, divorce, soul mates, rock’n’roll, it’s a promise I fully intend to keep. 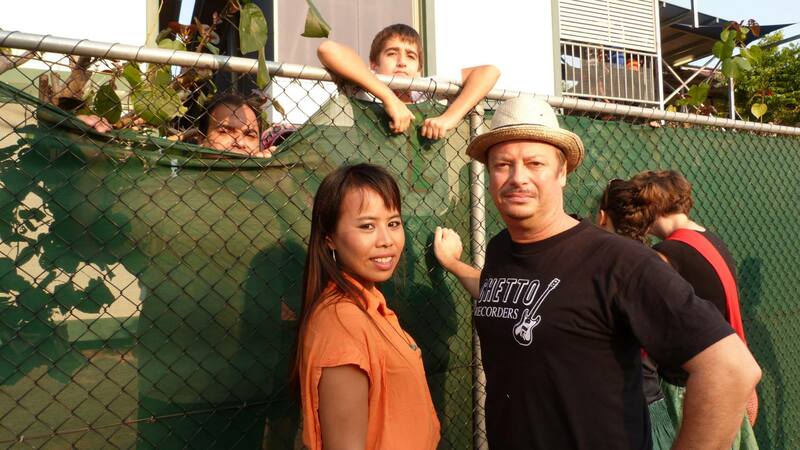 Channthy supported many in her homeland not least the children she loved. She’s pictured her with her gorgeous niece Chantourn – daughter of Lenny. Lenny’s is now continuing to work in music with The Mothership and carrying on from the music career Channthy created by managing and renting out CSP’s backline equipment. I am extremely grateful to Harley Stumm for taking on our Kak Channthy Memorial Fund campaign. Harley’s is someone who has a great professional reputation as an Australian arts producer/manager and has long been involved in supporting and financing CSP’s musicians for projects such as the truly wonderful “Cosmic Cambodia” collaboration – a theatre show with Channthy story-telling and singing her own life story – staged in Cambodia and in Sydney, Australia – connecting with Sydney’s Cambodian commuity. Harley’s planning, managing budgets, paying musicians and artist fees, dealing with the many difficulties in touring an entire theatre production from Cambodia to Australia, was an enormous contribution to Channthy and my own life with our Cambodian Space Project. Harley’s call to help with Gofundme came at a moment when I was also just too grief-struck to take on the task but I have since continued to campaign for support. This campaign will soon reach its conclusion but until then I continue to seek support for Kak Channthy Memorial Fund – there’s still a long way to go before we reach target and can make a real difference. 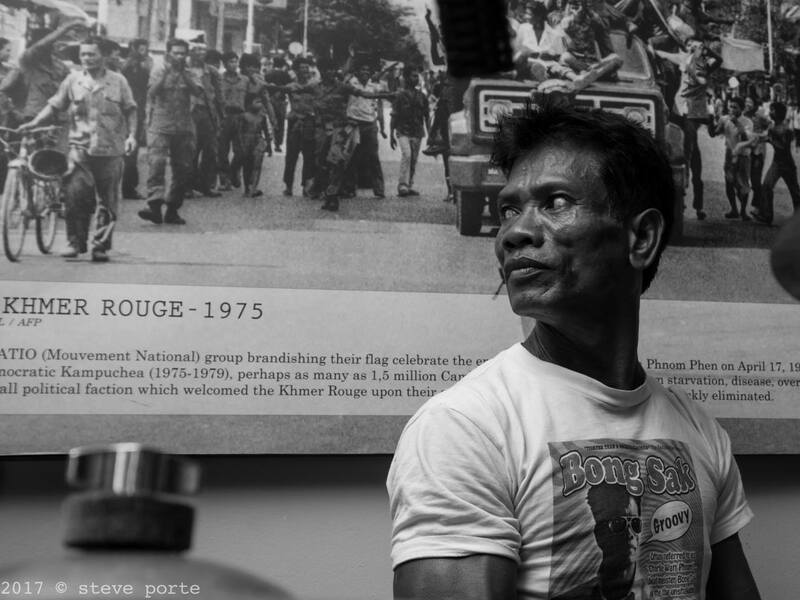 Legendary Space Project drummer Bong Sak looking back on times… Bong served in the army with Channthy’s father shortly after Pol Pot fled Phnom Penh but at a time when the ravages of war and conflict continued on another decade. Over these last three months, I have asked Harley to extend this campaign, to wait until Channthy’s 100 Days Ceremony was complete but also to take time to think carefully about the future. 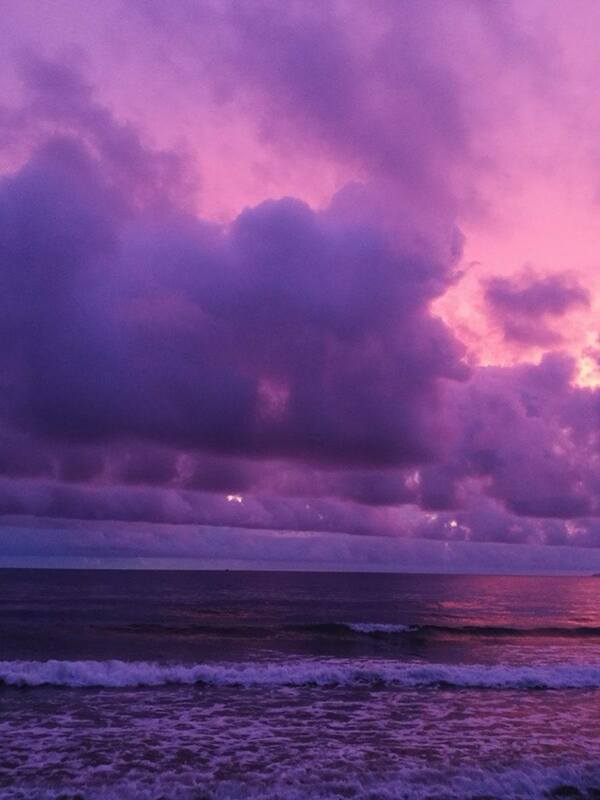 It’s been a time that has been complicated by getting on with life, dealing with grief – everybody’s grief – and sorting through scenarios for best managing the next steps. For example, asking questions about Cambodian law, guardianship, trusts (they don’t exist the same way they do in Western countries) and ongoing, long-term management. It’s also been important to see relationships between Channthy’s family and friends play out – there has been more than a few Channthy fundraising ideas or actions set in place – from bar top/café collection boxes to memorial events and while it would be great – in a perfect world – if all these campaigns worked in tandem, this is not the case. Some of these actions have been great and…. in my opinion… some actions have been utterly distasteful but I don’t want to tarnish the good work that has been achieved by drawing attention to the not so good. Perhaps, further down the track I’ll write about this as it’s an interested study of what is perhaps just human nature but for now, I have chosen to keeping running our Kak Channthy Memorial Fund campaign for as long as necessary in the hope of doing as much as possible. I am not involved in any other campaign but am aware that there may be additional support for Channthy/Makara coming from others. Always centre stage! 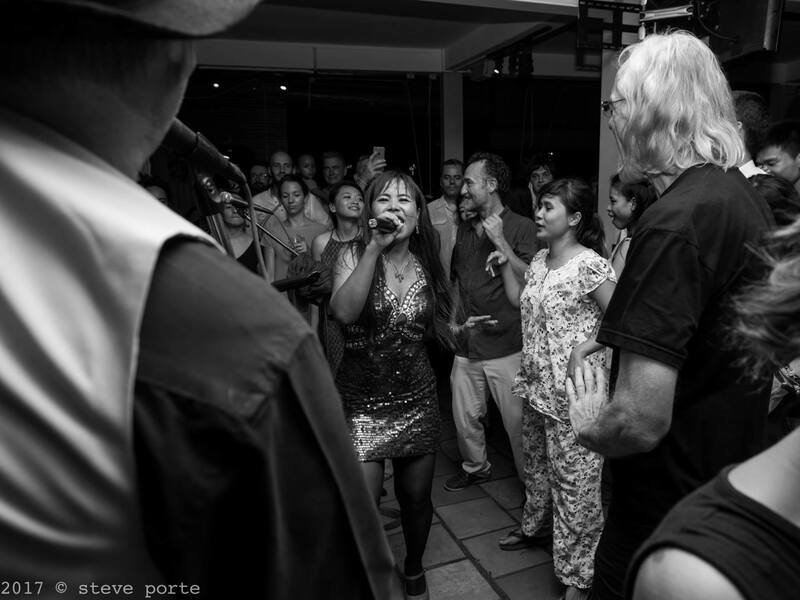 Channthy captivates everyone on a hot, sweaty night at the Foreign Correspondent’s Club rooftop. Channthy like rock’n’roll itself, attracted and inspired all sorts of people. Part of her legacy is the way she transcended race, class, culture and rose above many obstacles to make a truly astonishing connection with all sorts of people from all walks of life… heck…even Iggy Pop was shocked and saddened to hear of Channthy’s death and sent in his condolences… but where does this leave us now? there are still many people grieving and striving to help and effect a future for Channthy and in particular to support her son. I urge everyone one involved in this to think carefully and to act in a considerate way… time needs to run its course and there are many moving parts – people and their lives involved and big challenges ahead. It’s a long road ahead and we will need continued support. I’ll be writing – 100 Days of writing – and updating for the time to come and sharing with you all, as openly and sincerely as always, all the trials and tribulations of life after our tragic loss. Channthy would have expected me to carry on! never fall down! to look after the future for her son Makara, for her Cambodian Space Project friends and family and to respect and cherish her legacy and all that she stood for. She would most certainly appreciate the sharing of her remarkable life story with the idea that this can affect some good – and that’s what I intend to do. Until then, I hope you will support if you can or have already but hope you will stay with me and the CSP Mothership on our journey. I’m hoping for some better news to share with you all over this next weeks and months ahead. 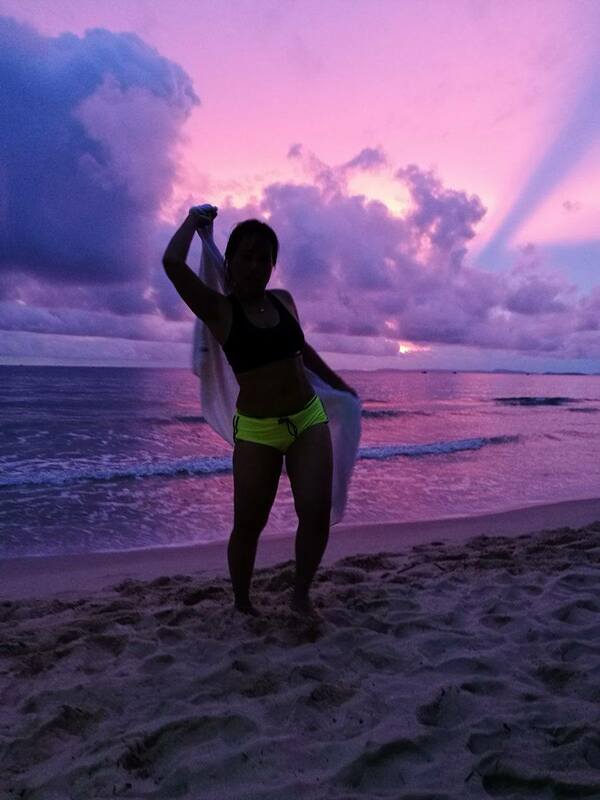 A ‘selfie’ Channthy sent me of herself enjoying the seaside and sunset in Darwin, Australia. Darwin meant a lot to Channthy and I am so pleased to see how Dan Davies and the community at Darwin Railway Club came together in tribute to Channthy and have raised fund for airfares for Channthy’s son Makara and carer Chan Raen to make their first international trip and visit a city Channthy loved. Channthy: What if you were still here?